We live in an age of unprecedented access to information. The last decade has seen an exponential growth in data and material available, often at the touch of a button. However, this has also made it harder to discern between fact and fiction. What is real and what is fake? What should we believe and what should we reject? In an environment of information overload, a distrust of experts, the circulation of misinformation and false facts, and public debates based upon poor evidence, Thinking Critically About Research comes at a vital juncture. The book is designed to help readers develop a critical understanding of evidence and the ways in which evidence is presented, and to challenge the information they receive in both academic and non-academic sources. 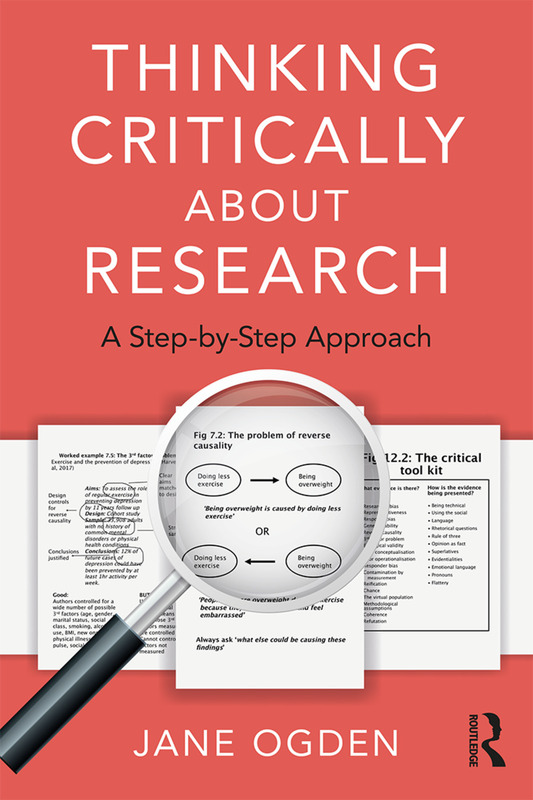 The author presents a step-by-step approach with a focus on knowing methods, culminating in a bespoke ‘critical tool kit’ which offers a practical checklist designed to be used when carrying out research. Also containing learning features including tasks and worked examples, drawing on real research studies, this is an essential resource for students and researchers, and those putting research into practice, who want to have better critical thinking skills. Step 2: THINKING critically about methods: what evidence is there? Step 3: Thinking critically about research: how is it presented? Jane Ogden is a Professor in Health Psychology at the University of Surrey where she teaches psychology, nutrition, dietician, vet and medical students to think critically about research. She has published over 190 papers and 8 books.